Alstom has provided the latest consignment of eight XTrapolis trains for Melbournes suburban network to Public Transport Victoria (PTV) ahead of timetable. 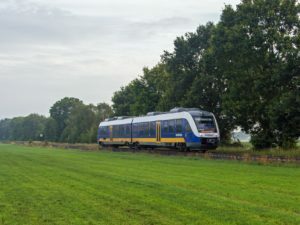 The trains, which have undergone testing at Alstoms regional manufacturing centre in Ballarat, Australia, will deliver an improvement to the busy and developing suburban rail networks. The trains will increase the operating fleet of XTrapolis trains to 82 trains, all of which have been supplied on time and within budget. The fleet has demonstrated itself to be the most dependable train on the network, outperforming all others. This milestone comes after another order for a further five XTrapolis trains announced by the Victorian state government in March of this year. Those trains will start running on the network by late 2016. Delivery of these latest trains highlights Alstoms trusted local capabilities and excellence in project execution and delivery, The quality and reliability of these trains is testament to the dedication and skills of our team in Ballarat and those of our local suppliers. To be nearer to its Australian customer-base and to strengthen its local production, Alstom has augmented the level of local content by using locally produced material rather than imported components. The use of cutting-edge global technology, joined with local innovation, has safeguarded a more efficient regional manufacturing centre and standardised the local workforce to meet international standards.